These mini hoop "huggie" earrings are a staple accessory! A perfect addition for those with multiple ear piercings as it can be easily mixed and matched with other earrings in your collection. 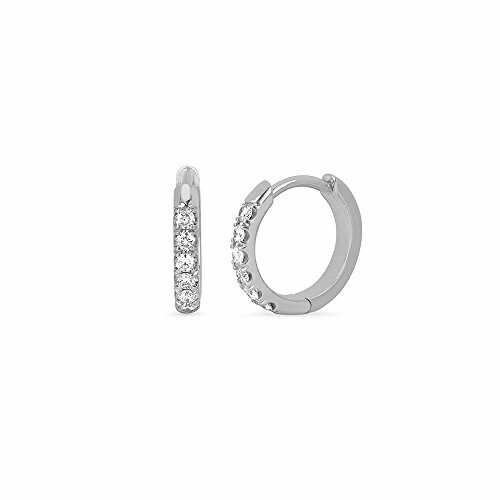 They can be worn on either the first or second ear piercing. These earrings are small but outstanding due to their brightness, and really suit your daily looks but are also perfect to wear on special occasions. Quality - Made of sterling silver 925, plated with white gold. Gift - Packed in our brand gift box, ready for gifting.